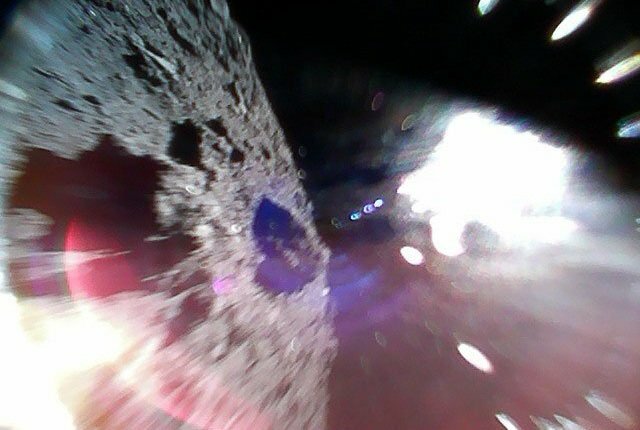 The Japan Aerospace Exploration Agency (JAXA) has successfully landed two rovers on the surface of an asteroid, Ryugu, the BBC reported. JAXA named the mission and spacecraft sent to the asteroid Hayabusa2. Hayabusa2 launched on 3 December 2014 and reached the asteroid on 27 June 2018. Scientists surveyed the asteroid for several months before selecting a landing zone for the rovers. Part of Hayabusa2’s payload is four rovers: three Minerva-II rovers, and a Mobile Asteroid Surface Scout (MASCOT) rover. The Minerva-II rovers were developed by JAXA and the University of Aizu, and two of the rovers have been deployed to the surface of the asteroid. They move around by hopping, and are taking pictures of Ryugu and sending them back to Earth via Hyabusa2. Later, it will deploy an explosive kinetic impactor and create a new crater on Ryugu. Hayabusa2 will then descend again to collect subsurface samples. Hayabusa2 is scheduled to leave Ryugu in December 2019 and return to Earth, arriving in December 2020.